The way we work has changed across the board, but the traditional office still persists when it comes to the workplace. 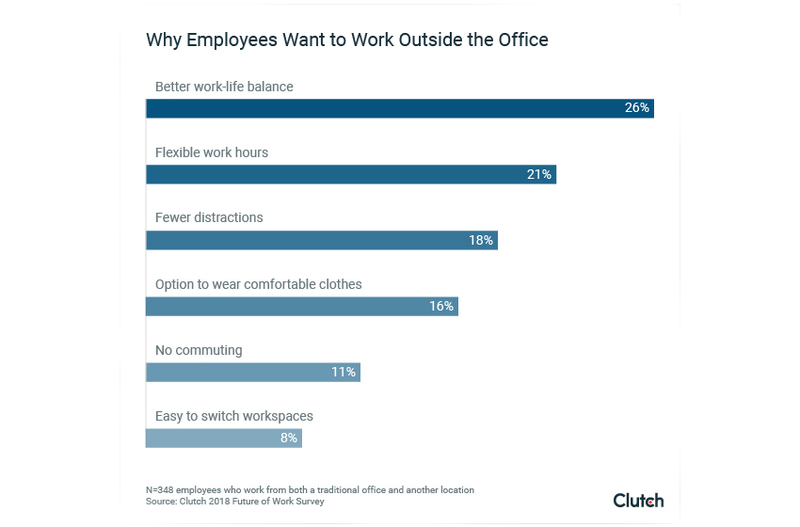 And according to the new Clutch 2018 Future of Work survey, more than two thirds or 68% of workers are still completing their jobs in a traditional office. This survey has revealed offices are still the most popular workplace option for many companies and employees. This is despite the fact more Americans are now working remotely. 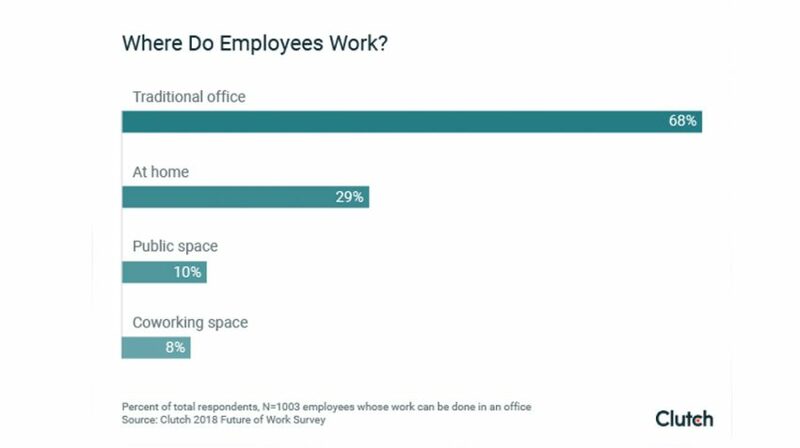 For small business owners looking at this contradicting data, finding the right balance between remote and office workers is key. This will depend on the industry you happen to be in and the demographics of your workforce. While young workers want a flexible working arrangement, older employees might prefer staying in the office to get the job done. The Clutch survey was carried out with the participation of 1,003 employees whose work can be completed in an office. The respondents were made up of 67% women and 33% men across different age groups. Millennials (18-34) made up 35%, Generation X (35-54) came in at 41% and baby boomers 23%. As to their working arrangements, 73% were full-time W2 employees along with 12% part-time workers who were also W2 employees. Full-time freelancers/contractors made up 10%, and another 8% were part-time freelancers/contractors. 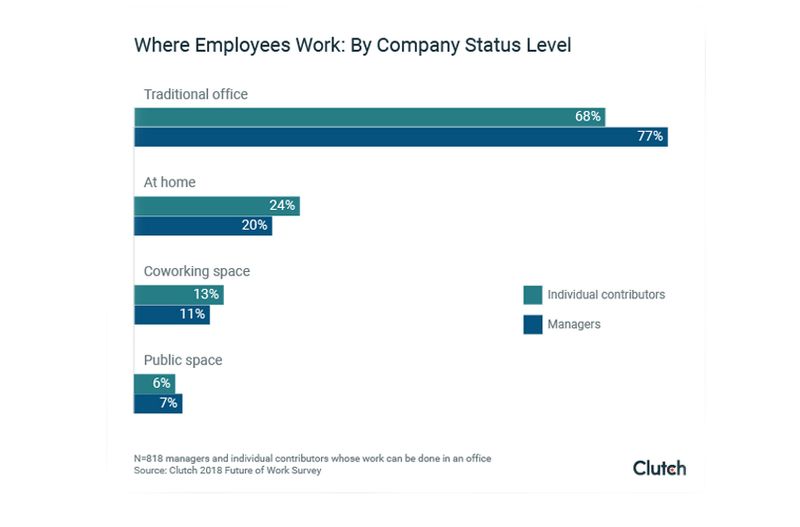 Keeping up with the theme of traditional offices, private offices are the most common arrangement for 38% of workers compared to 31% for a shared office and 25% cubicles. 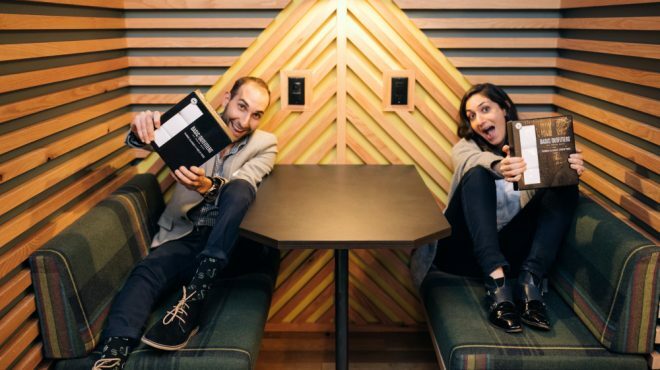 The benefit of each type of office is highlighted in the report by Elizabeth Ballou, Content Creator & Marketer, Clutch. She says the best setups end up being multiple workspaces with both private and shared spaces. When it comes to managers, 77% of them work at a traditional office while 20% work at home. 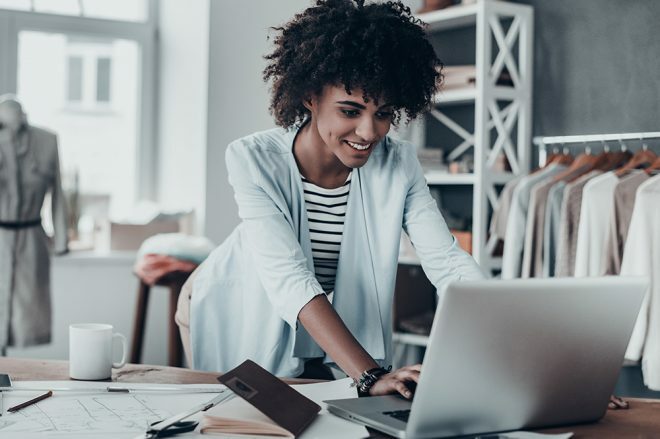 Employees, on the other hand, prefer remote work options, but according to Ballou, this is because in most cases workers don’t have access to the ideal work environment. Of those who have access to multiple working options, 62% say it is preferable or very preferable. On the other side of the spectrum, 15% say it is unpreferable or very unpreferable. When employees do work outside the office, work-life balance plays an important role as 26% indicated it is the biggest reason for not liking traditional office workspaces. Other respondents said there fewer distractions (18%), wearing comfortable clothes for (16%), and not commuting (11%) also playing roles for why they preferred working remotely. Small business owners need to be flexible when it comes to creating the right workspace for today’s employees. 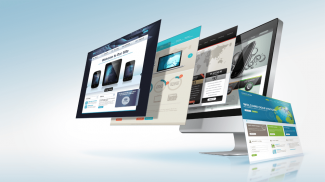 Since there are more ways to get the job done in this digital ecosystem, you should explore all available solutions so you can give your employees more options. The more options they have, the easier you will make it for them to choose your company over another one. Offices are more conducive for work. I get more work done when I’m in the office. Even if you work at home, you should still have an office that you can go to.